The last year remained not-so-good for the coveted Khans of the Hindi film industry in terms of their Box Office performances. 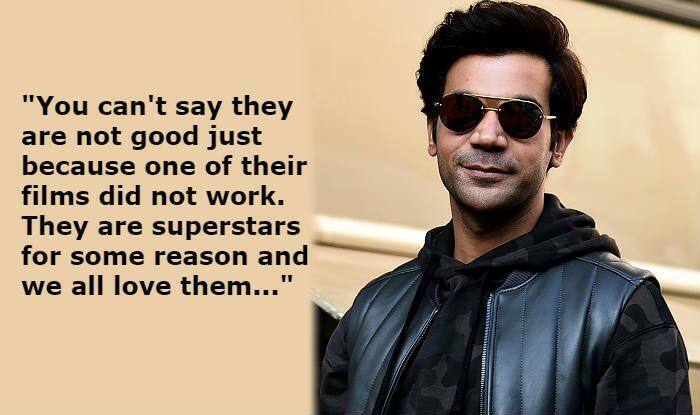 However, actor Rajkummar Rao doesn’t see it as a problem for anyone. In his latest interview with a news agency, he talked about why one should not consider this as the end of the Khans on screen as none of them can ever fail to entertain the audience. The year 2018 saw all three Khan failing at the Box Office with their respective films. Neither Salman Khan’s Race 3 was appreciated nor Shah Rukh Khan’s Zero. Even Aamir Khan couldn’t impress the audience with much-awaited film – Thugs of Hindostan.